"That's only for regular people, not for us kind of people." That’s what Darcus Nims says she was told when she wanted to take a typing class in school. Darcus founded Self-Advocates of Indiana, the statewide group of advocates with intellectual/developmental disabilities, in 1990. She was interviewed in 2006, two years before her death at the age of 50. 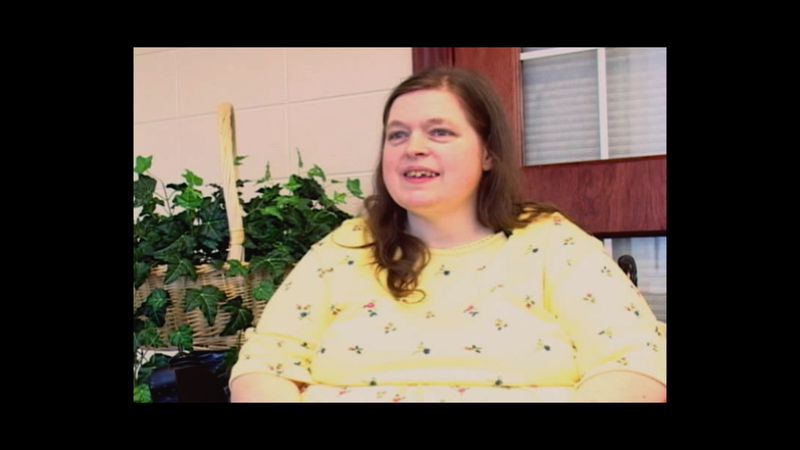 With numerous anecdotes, she discusses her achievements, the discrimination she experienced as a person with an intellectual disability, and how she fought to make things better for her fellow self-advocates. Growing up in Indianapolis, Darcus faced low expectations from the educational system. Told she needed to leave school at the age of 18, she was sent to sheltered workshops at Goodwill Industries, CrossRoads Industrial Services, and Noble Industries. Darcus wanted a job. “Nobody never asked me what I wanted to do if I wanted to go to the workshop.” For her niece with a disability, she says it is a lot better and yet many inequities remain. Darcus was proud of her influence on her niece who is now speaking up for herself. Read Darcus Nims interview transcript. "Darcus Nims Interview" YouTube video, 01:20:43, interview 031-mi, Indiana Disability History Project, posted by "Indiana Disability History" on September 18, 2017, https://youtu.be/Gtu8agZG8jI.